Please don’t hate me. I am one of ‘those’ people who ran away from winter this year and spent a glorious 6 weeks under the Mexican sun. But my vacation was about more than lounging on the beach. 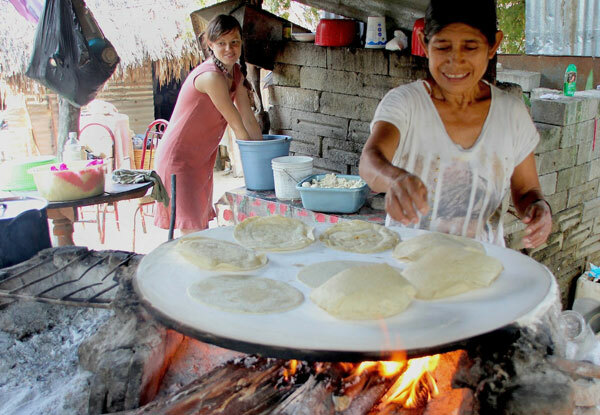 In addition to escaping a particularly brutal north-east winter and finding some quiet moments to chip away at my master’s thesis, I had one main goal that I wanted to achieve in Mexico: I wanted to learn how to make true, traditional tortillas from whole, nixtamalized corn kernels. I did that, and you can read all about it on my blog. But aside from tortillas, I also got to learn how to cook an assortment of regional dishes during my stay at Las Granadas Bed and Breakfast in the small town of Teotitlán del Valle, just outside the city of Oaxaca. Owner Josefina Ruiz welcomed me into her kitchen and patiently showed me how to make chiles rellenos (stuffed and fried hot peppers), champurrado (a corn and cacao-based hot drink), a refreshing chilled lime and cilantro soup, traditional chocolate made from slow-toasted cacao beans, sugar, and cinnamon, and one of my new favorites: squash flower and corn chowder. Teotitlán is aptly named “land of the gods” in Nahuatl. Walking around the quiet streets, you get a sense for the slow yet purposeful pace of life, and the pride people here have for their indigenous Zapotec heritage. The main language you hear walking around the market is not Spanish, but Zapotec, and villagers are quick to smile and make you feel at home. The town is famous for its beautiful rugs hand-woven with local sheep’s wool and dyed with natural pigments. But aside from weaving, Teotitlán is gaining a reputation for its amazing food culture. 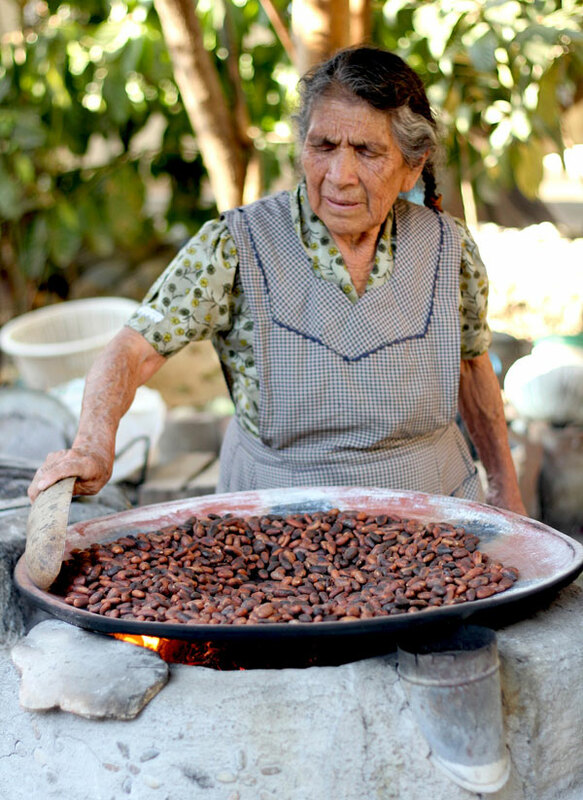 At Las Granadas, Josefina and her mother-in-law prepare deeply flavorful recipes that they have been cooking since they were kids, often opting to cook over the outdoor wood-fired stove because as they point out, it is cheaper, and the food is more flavorful. Josefina’s husband passed away 10 years ago. With the help of her mother-in-law, Magdalena, she started her Bed and Breakfast as a way to put her kids through college. Magdalena and Josefina both work hard and their home has an aura of serenity and is warmly welcoming. I was enchanted to see that their outdoor kitchen sits in the centre of a courtyard filled with pomegranate trees. I loved learning to make this squash blossom soup with Josefina, first because I’ve always enjoyed cooking with flowers but second, because this is my kind of recipe: simple uncomplicated, yet deeply comforting and satisfying to eat. Plus it uses cream, always a bonus in my books! 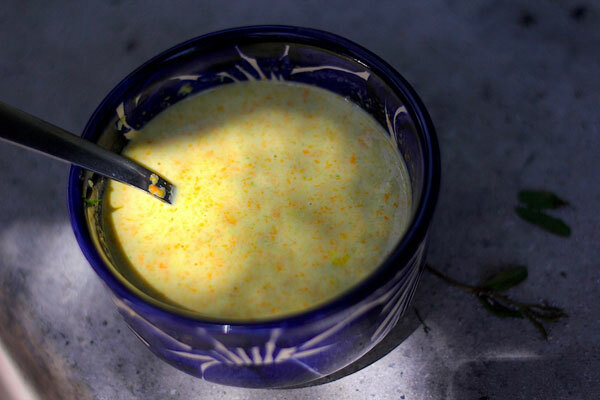 (Josefina used evaporated milk, which is an option but she says she only uses it because fresh dairy products aren’t readily available where she lives.) Unless you live in a southern state, you may have trouble finding squash flower blossoms at this time of year. For us northerners, they won’t be readily available for another couple of months. You can often find them at specialty or Mexican grocers or at your local farmer’s market. And of course, growing them yourself is so satisfying! If you have a little patch of soil, try sowing some zucchini seeds, you’ll be surprised how prolific the plant is, usually producing enough flowers to harvest several blossoms per plant. Zucchini is the most common plant used for blossom harvests because the flowers are a bit sturdier, but the flowers of any squash plant can be used in cooking. When you harvest, you need to pick the male flowers because the female flowers are the ones that bear fruit. 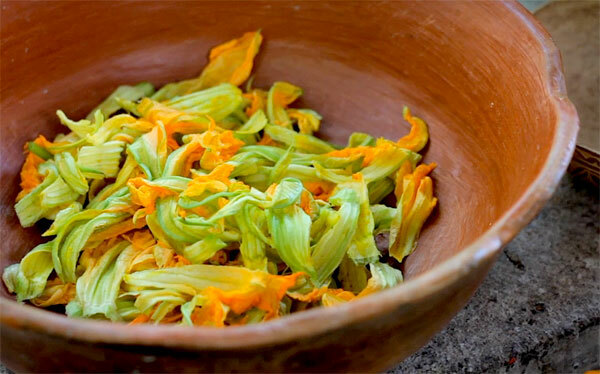 Here are some additional tips on harvesting squash blossoms. As you see in the video, Josefina buys her flowers at her local market in Teotitlán. 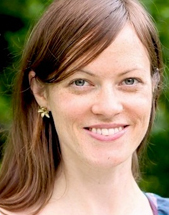 I loved that she knew the vendors and specifically sought out the smaller producers selling organic, unsprayed produce. Cooking with Josefina and Magdalena reminded me of cooking with my late mother and grandmother and how important is the wisdom of women who have lived a rich life of cooking and sharing stories in the kitchen. 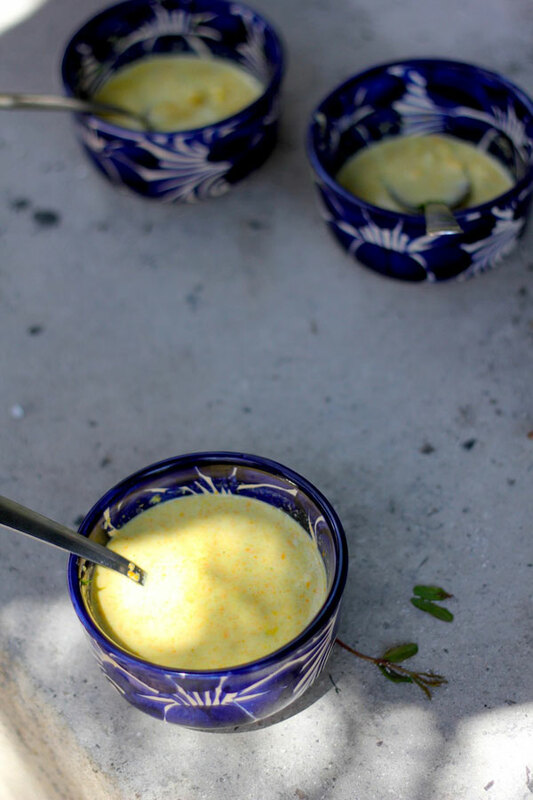 And then, it doesn’t get much better than eating a warm bowl of soup whipped up by your new friends, under the shade of a pomegranate tree. To prepare the blossoms, break off their stems, and gently pick away the pointy green sepals that surround the external base of the flower. Open the flower to release the orange pistil inside and discard this part. You can chop the green stems (minus the sepals and pistils) if you wish and add them to the soup, this is optional. Using your fingers, gently tear the petals into large shreds and save these. Sauté the onions in the butter over medium heat in a large skillet for about 5 to 7 minutes, until soft and translucent. Add the salt and squash blossom shreds (and stems if using) and sauté for a few minutes until softened. Add the broth (or corn water if using). Simmer for about 3 more minutes. Remove from heat. Place the blossoms, onions, and broth mixture into a blender. Purée well, on high, until a uniform mixture is reached. Place this creamy mixture into a medium, heavy-bottomed saucepan and place on medium-low heat. Add the corn kernels and simmer for 5 to 10 minutes. Remove from heat, add the milk or cream, and return to burner on lowest setting. Heat gently for a few more minutes, but do not allow the soup to boil once the milk or cream has been added (to prevent the dairy from separating). Taste the soup, salt to your liking. Serve hot, with some finely chopped parsley, chives, or epazote for garnish.